In his first year, Jorge works in scaling-up the fabrication of tissue engineered intervertebral discs using alginate and collagen scaffolds. He analyzes the discs using biomechanical, biochemical, and histological techniques. He is also interested in characterizing the poroelastic behavior of the composite construct using computational models. 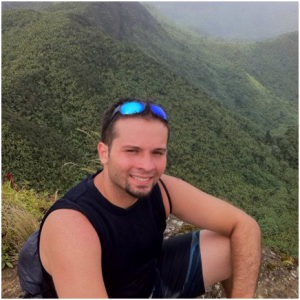 Jorge grew up in Mayaguez, Puerto Rico where he pursued painting in his spare time and enjoyed running by the beach or exploring rainy forests through the island. He acquired his enthusiasm formentoring and tutoring with the Counseling and Orientation Department, ASME, and BMES. After he joined Cornell, Jorge continued his involvement with academic and professional activities through SHPE and BMES.